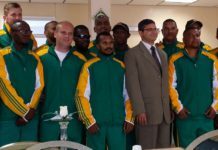 and Brand South Africa on 9 June 2010.
country manager, is at far right. • Gallery: Vuvuzelas conquer the world! In the space of four weeks the vuvuzela has become the defining sound, shape and buzzword of Africa’s first Fifa World Cup. It is on everyone’s lips – both literally and figuratively – and is likely to gets its place in the Oxford English dictionary some time soon. Prince William, heir to the British throne, had a go at blowing one although, by his own admission, with limited success. And Boris Johnson, the mayor of London, has blown a vuvuzela and thinks they’re a hoot. The vuvuzela is like Marmite: you either love it or hate it. But there came a point – round about the end of the first week of the 2010 Fifa World Cup – when everyone wanted one, wanted to blow one, wanted to hear one and wanted to get their tongues around that magic word v-u-v-u-z-e-l-a. Sainsbury’s ordered 70 000 from a supplier in China and they walked out the door. A South African manufacturer who has teamed up with a German manufacturer to make three-piece vuvuzelas claims to have sold 500 000 of the instruments and done turnover exceeding R6-million. In the UK, The Sun newspaper has distributed tens of thousands as a promotional gimmick. A British distributor who wanted to give South Africa the business found that his South African suppliers could not meet demand, so he turned to the Chinese for a two-piece model with South African branding. One Chinese manufacturer says they have sold a million vuvuzelas. Demand is now picking up sharply in China and they are expecting an increase in global demand after the World Cup. In his seminal best-seller The Tipping Point, Malcolm Gladwell defines that magic moment when ideas, trends and social behaviours cross a threshold, tip and spread like wildfire. That is exactly what happened with the vuvuzela by then end of the first week of the 2010 Fifa World Cup. It was the first World Cup in which microblogging site Twitter saw a massive proliferation in tweets as the teams went head-to-head. 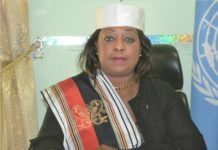 The site reached peaks of 3 000 tweets a second during the tournament and when goals were scored, according to an investigation by new media analyst Kerry Le Cordeur. In the first week of the World Cup the vuvuzela was recorded by Twitter as a “trending” topic – a status indicating exceptionally high levels of interest. Mobile technology saw an influx of iPhone and iPad apps, and the most popular of all turned out to be the ability to send the b-flat parp of a vuvuzela directly from your iPhone. Media commentators agreed that in a stadium the collective noise of the vuvuzelas fluctuated between the sound of a herd of elephants trumpeting and a large swarm of angry bees. The broadcasters hated them but found a way of digitally tuning them out. The players hated them because they could not hear each other or their coaches barking orders from the touchline. And Fifa officials hated them because they drowned out the fans and the singing that would have showcased South Africa’s tradition of voice and music. 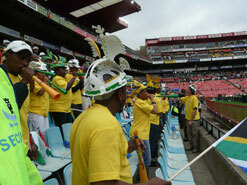 Fifa officials passed on pressure to ban the noisy instrument to the South African Local Organising Committee. LOC chief Danny Jordaan said that his committee was doing its best to control the use of the vuvuzela and it had been clearly established that it could not be played during national anthems. Jordaan said further measures would be taken if it became necessary. 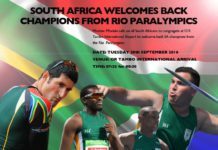 But it soon became clear that any attempt to ban the vuvuzela would lead to a huge uproar and rob the contest of its most tangible and audible African hallmark. A compromise was then found to produce a vuvuzela which made less noise and posed less of a threat to one’s hearing at close range. Instead of an ear-splitting 140 decibels they could come down to 115 or so. But the controversy surrounding the vuvuzela just fed the frenzy. The tipping point was reached by the beginning of the second week of the World Cup, and there was no turning back. To end the debate, Fifa President Sepp Blatter then came out in support of the vuvuzela. As did Nobel Peace laureate Archbishop Desmond Tutu. That more or less ended the debate, and broadcasters began to learn how to pronounce the word on air. BBC Newsnight took the unusual step of ending its evening programme by inviting a British musician who plays the trumpet to have a go with a vuvuzela, to see whether he could get some varied sounds out of it – or even some music. The musician succeeded, but presenter Jeremy Paxman stumbled on pronouncing the word, a slip that did not go unnoticed in the British media. The fans visiting South Africa grew more and more intrigued and embraced the vuvuzela as a symbol of the exuberance of their South African hosts, using them as a way of identifying with local football culture. International television viewers also became fascinated with the vuvuzela. Children clamoured to own one. Science journals carried long technical articles about the sound properties of the vuvuzela, why its base note was b-flat, why the sound was so irritating and why they could adversely affect your hearing if you got too close. London firefighters used them for a union protest to demand higher pay and better working conditions. South African companies and UK companies with links to South Africa wanted them to add colour – and noise – to their 2010 World Cup launch events. Finance Ministers blew them at the G20 summit in Toronto. They were blown at a key baseball match in the United States between the Boston Red Sox and the Arizona Diamond Backs. In the UK, they were heard in the most unlikely places. 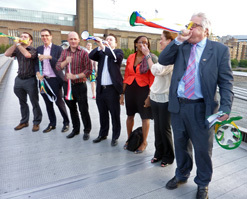 Executives in the City of London took part in a vuvuzela blowing competition from the Millennium Bridge in the heart of London organised jointly by Brand South Africa and High Timber restaurant, an upmarket South African restaurant on the banks of the Thames. The Brand South Africa office in London, which distributed some 5 000 South Africa-branded vuvuzelas in the run-up to the World Cup and during the first few weeks of the contest, was inundated with requests from companies in the UK and Europe who wanted to include vuvuzelas in client packs. Charity events and England supporter farewell parties all wanted them. 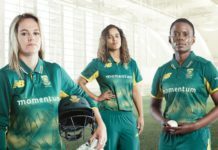 And of course they featured in large numbers at the opening game between South Africa and Mexico which was televised on a giant screen in Trafalgar Square on 11 June. Although Freddie Maake, 55, a Kaizer Chiefs supporter from Soweto claims to have invented the vuvuzela when he put his lips to a horn on his bicycle and extracted an interesting sound 30 years ago, another South African, Neil van Schalkwyk, appears to have been the first to have patented it and started manufacturing for the mass market about 10 years ago. But the real origins of the plastic horn probably lies far further back than that, in the tradition of blowing a hollowed-out kudu horn to summon people for an important announcement. As is the case with the makarapa, the ingenious decorated soccer helmet made from a construction workers plastic hat, these South African inventions raise questions about copyright and patenting in a developing country where people are not always aware that their ingenuity needs to be protected. Neither Alfred Baloyi, who invented the decorated helmets in 1979, nor Maake are ever likely to earn royalties or revenue from their ingenious inventions. The word “vuvuzela” means welcome, unite or celebrate in isiZulu. Despite all the noise and controversy surrounding it, that is exactly what the vuvuzela has done. John Battersby is the UK country manager of Brand South Africa.